Tension is escalating between French carmaker Renault and Japanese carmaker Nissan as Renault has decided to retain Carlos Ghosn as its chairman and chief executive after finding no irregularities in his pay packages, despite his arrest and continued detention in Japan. Renault said on Thursday that its board had reviewed payments to Ghosn between 2015 and 2018, and that all payments were “in compliance with applicable law” as well as the French corporate governance code. 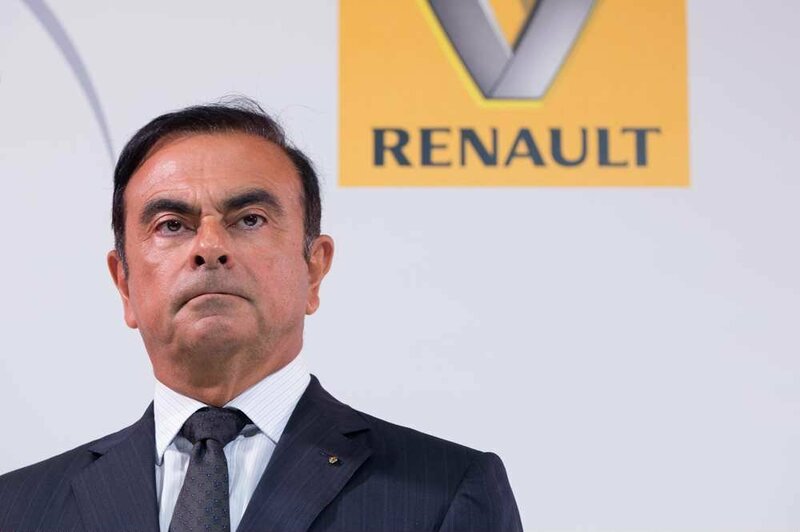 Last month, Carlos Ghosn was sacked as the chairman of Nissan, which operates in a tripartite alliance with Renault and Mitsubishi, after he was arrested on suspicion of underreporting his income and misusing company funds. The decision puts yet more distance between the two carmakers, the alliance of whom was magically held together by Ghosn for nearly 2 decades. 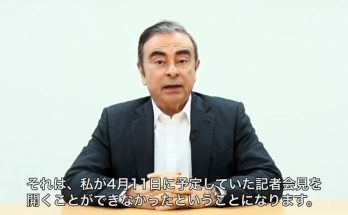 After weeks of questioning, Ghosn was charged by prosecutors in Toyko earlier this week, with underreporting his income in regulatory filings by 5 billion yen between 2010 and 2015. 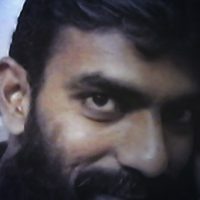 Prosecutors also served him with a new warrant alleging he also underreported his income over the past three years, allowing them to extend his detention under Japanese law. 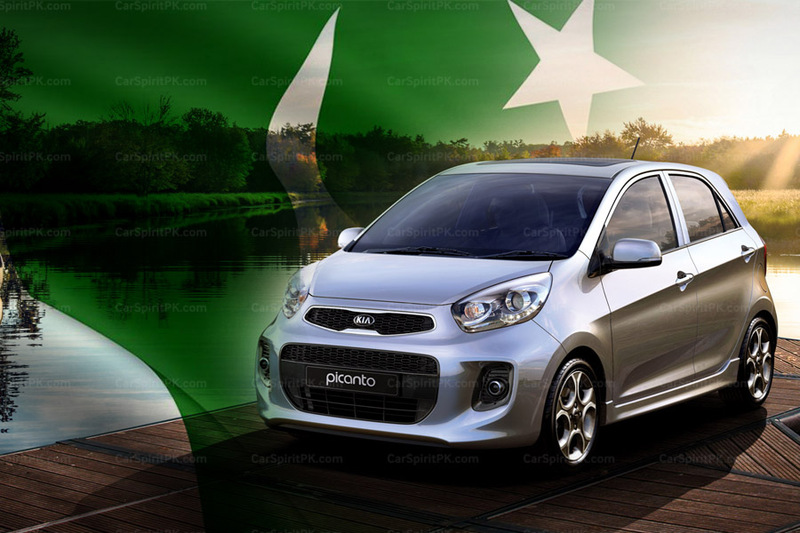 However, Renault announced on Friday that Ghosn would stay in his role. 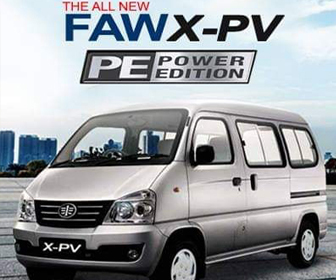 Its board made the decision after reviewing a report by its lawyers on a presentation made by Nissan’s legal team. 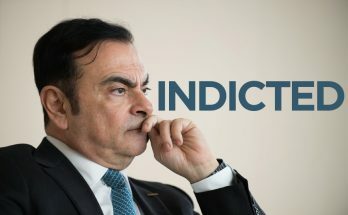 Renault also said it had not yet received any information on Ghosn’s defence against the charges in Japan. 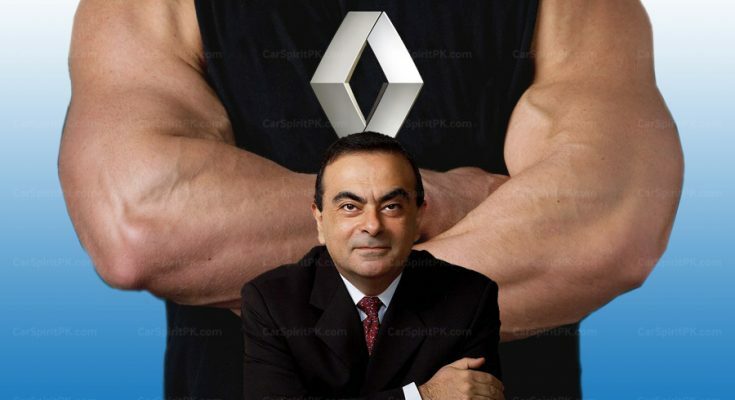 There had been tension between Renault and Nissan over Ghosn’s future because the French carmaker believed it had not had access to details of accusations against him. Both Renault and the French government, which owns a 15% stake in the carmaker, wanted to see further evidence before deciding their next steps. 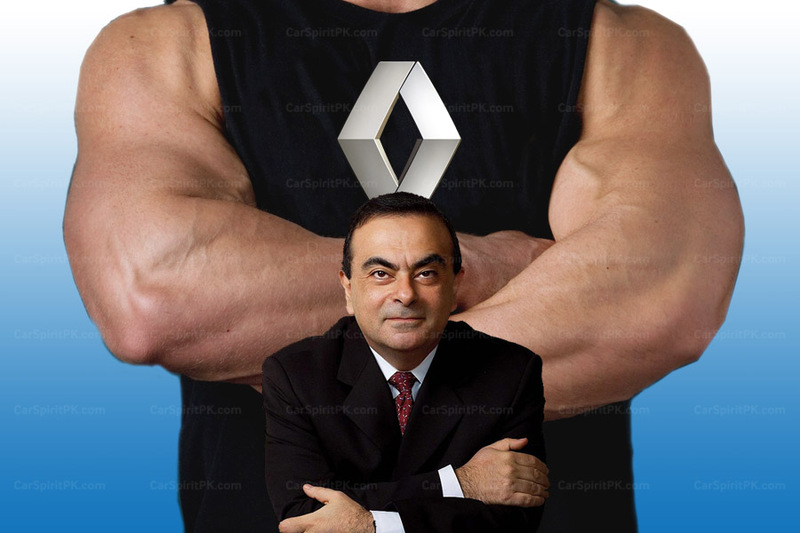 Although Nissan and Mitsubishi, the two Japanese carmakers were quick to throw out Ghosn from the chairmanship soon after the arrest, Renault has maintained its faith in their 64 year old Brazilian born Lebanese CEO who is considered a celebrity in the global automotive industry, the architect of the Renault-Nissan-Mitsubishi alliance, and the key figure responsible for saving Nissan from near bankruptcy in the late 90s. Carlos Ghosn will face up to 10 years in prison in Japan, if found guilty. 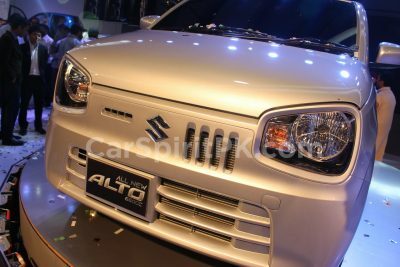 The feud has threatened to split the alliance between Renault, Nissan and Mitsubishi, a group that currently ranks among the world’s top three car manufacturers. 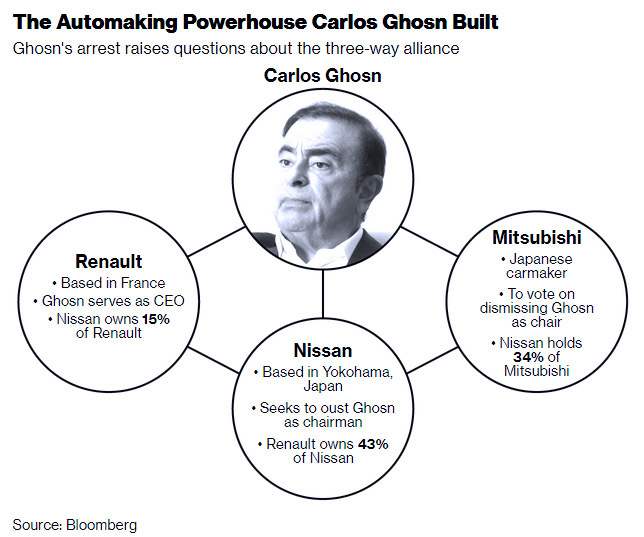 According to analysts the arrest of Ghosn, is Nissan’s attempt to rebalance their position in the alliance. 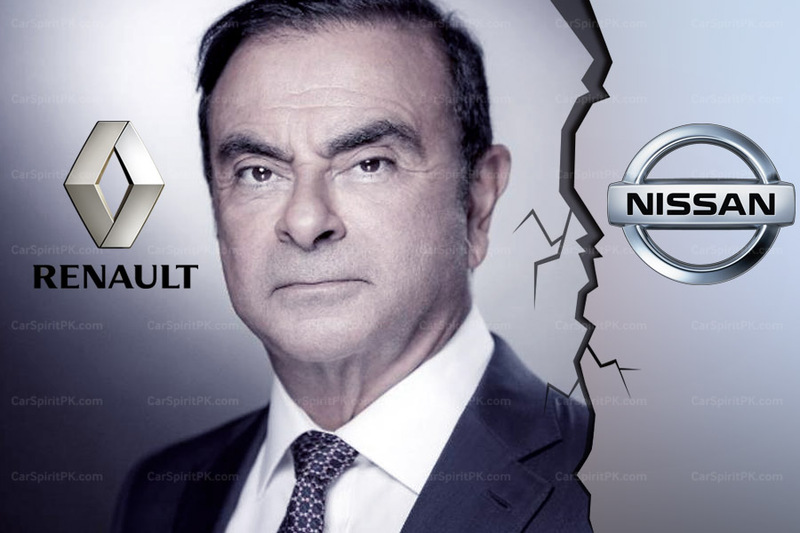 Ghosn was also working on an ‘irreversible’ merger between the French and Japanese automakers, which Nissan never wanted.